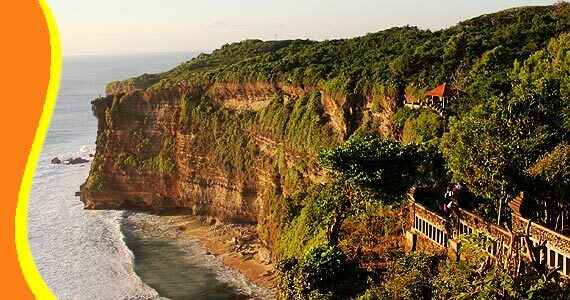 Uluwatu Temple is located at an altitude of 97 meters above sea level. In front of the temple there is a small forest called Alas Kekeran, serves as a buffer sanctity of the temple. 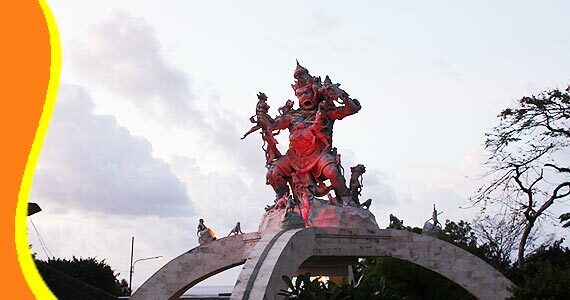 Temple is located at the southwestern tip of Bali island. Standing on the rock jutting into the Indian Ocean. The Temple of Sad Kayangan believed by Hindus in Bali as a buffer from 9 directions of the wind. This temple was originally used as a place of worship by holy priest from the 11th century named Empu Kuturan. He the teachings the people who live in village with rules. This temple is also used to worship the holy priest that followed after, namely Dang Hyang Nirartha, who came to Bali in late 1550 and ending with Moksah or Ngeluhur in this place. 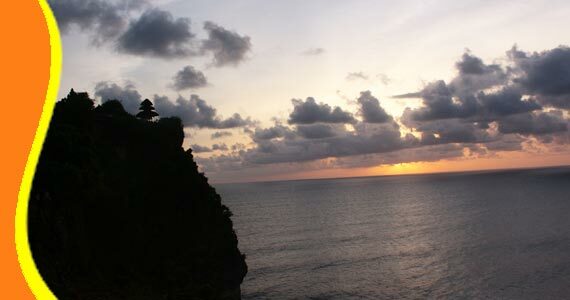 Sunset View in Uluwatu Temple Bali. Located in the village of Pecatu, District of South Kuta, Badung and about 25 kilometers south part of the city of Denpasar. 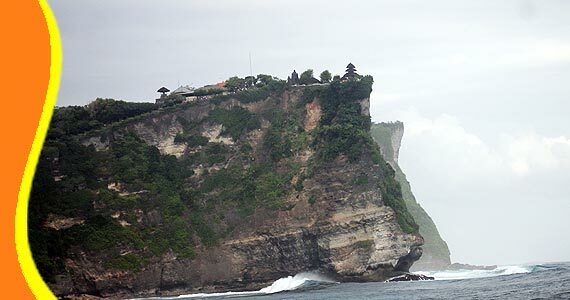 Uluwatu name is derived from the word Ulu which means head or at the end and Watu meaning stone or cliff. 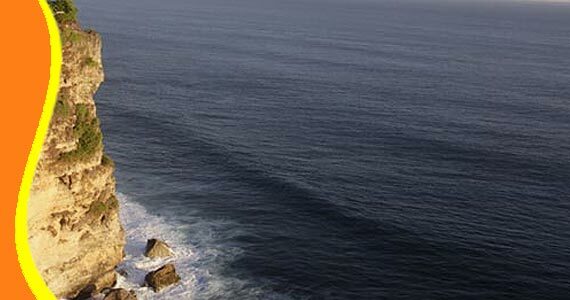 Therefore Uluwatu means temple built at the end of the cliff. Uluwatu Temple is famous destination in Bali, because right below it is a beach of Pecatu often used as a place for surfing. International events are often held here. This beach is very famous waves suitable for surfing in addition to be a place of natural beauty of Bali which is very fascinating. 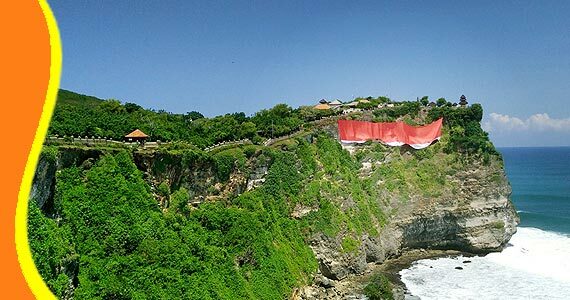 When Independence Day of Indonesia that celebrate in every year, the army put a big Indonesian flag on the wall of Uluwatu hill. In the evening all tourist will come to this place because of sunset panoramic. And also an arena in south of the temple, as a place to watch Kecak Fire Dance that took epic Ramayana. The Kecak Dance, the best balinese performance that stage in Uluwatu Temple during Sunset Time. 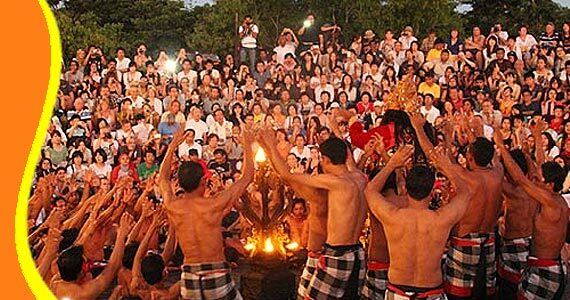 Kecak Dance Uluwatu Temple Open Every Day start from 06.00 pm to 07.30 pm. If you want to watch Kecak Fire Dance, come early. Because there are no seat reservations. You can choose anywhere you like. 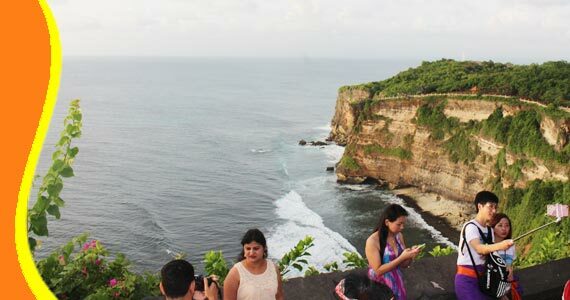 For further explanation and information about Pantai Uluwatu Beach Bali, Uluwatu Bali, Uluwatu Transport, Visit to Uluwatu Temple. Get a Bali Transport from your stay (Bali Resort or Bali Hotel). You can contact us if you need transport to go to Bali Uluwatu and other related Bali tourist destination. 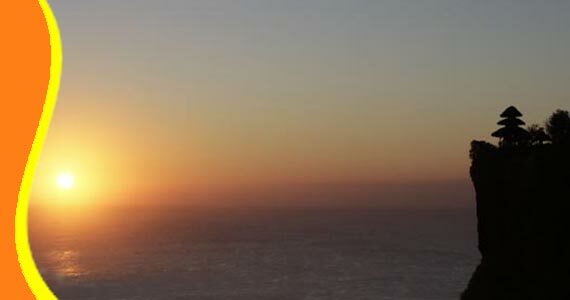 This amazing sunset, that you will see when you visit the Uluwatu temple in the afternoon. 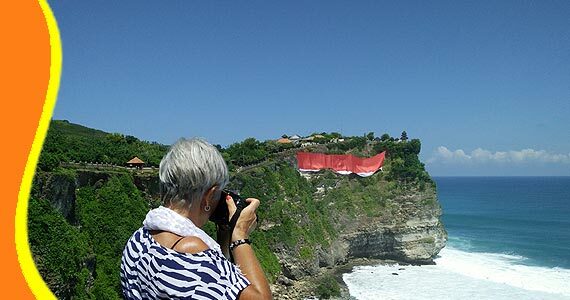 Tour to Uluwatu Beach Bali can be combined and implemented in conjunction with other activities Trip or Tour in the same direction. 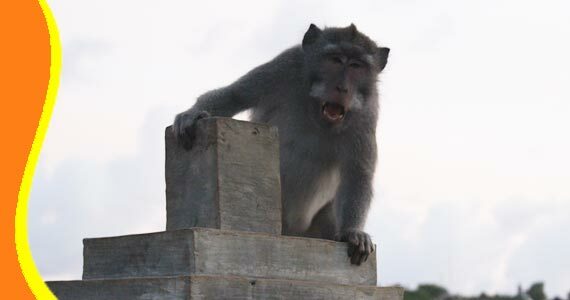 To be considered that Be careful of your belonging, because many monkeys here who like to take your goods. Use Sarong and Scarves that have been provided by the temple, as you enter the sacred area. 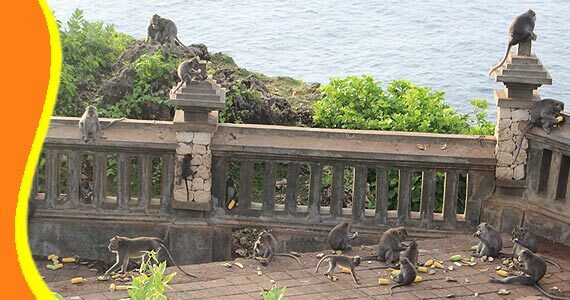 Monkeys are everywhere in Uluwatu Temple Bali. Be aware of their activities. Could be very naughty to take your belonging. 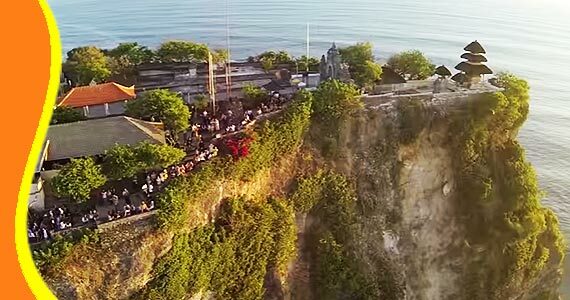 Watch on Youtube Video Player of what amazing panorama in Uluwatu Temple Bali. 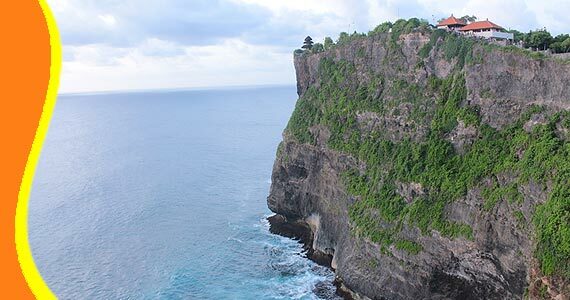 “Wonderful and Amazing Panorama in Uluwatu Temple. Will visit again on my next trip (Nova - Indonesian)"